Operatively, the operation was lead by Josip Perkovic, then Undersecretary of MUP for SDS and Jerko Vukas, his successor to that postAt the end of last week, Nacional received a copy of a strictly confidential document entitled Operation “Janjičar”. This is a document by the SIS intelligence agency listing almost two thousand individuals believes to be associates of KOS, the Yugoslav Counter-intelligence Agency. Nacional has learned from military sources that this document is the result of three years of intelligence research. People were listed based on information collected in the field and from KOS documents which fell into HV hands during the war. This list was compiled between 1991 and 1995, up until the start of Operation Storm. Nacional has learned from well informed military sources that this operation began almost immediately after HDZ took power in 1990. They also claim that the then UDBA, which acted in Croatia, almost completely passed over to the side of the new government and began to work as the State Security Agency (SDS) under the Croatian Police Ministry. They soon clashed with the KOS agents in intelligence work. Already in 1990, the first conflict occurred between the Croatian UDBA and KOS and resulted in the listing and monitoring of a large number of KOS agents working in Croatia. In autumn 1991, the first arrests took place as part of Operation Labrador. The reconstruction and listing of the KOS agent network in Croatia was formed at the end of 1991 in Operation Janjicar. According to well informed military sources, it was approved by Ivan Vekic and Gojko Susak, then Police and Defence Ministers. Operatively, the operation was lead by Josip Perkovic, then Undersecretary of MUP for SDS and Jerko Vukas, his successor to that post. Later, that position was renamed “Assistant Minister for SZUP” and after the change in power in 2000 to “POA Director”. Operation Janjicar since then has been a unified operation by all the Croatian intelligence agencies. According to the available information, the then 5th military district of YNA which covered Slovenia, part of B-H and Croatia had 800 KOS agents. Of these, 300 were civilians in various structures of political and public life in Croatia, including agents later uncovered in Croatia's MUP. The other 500 agents were military persons or civilians working in YNA. Their work was focused on military persons and civilians. The SIS document in Nacional's possession contains several sections. Each person is listed by their full name and pseudonym if one was used. The list also contains short notes on the person's connections. The list begins with several individuals whose identity is not completely revealed. For example, first on the list is a person who used the pseudonym Maja. The documents in Nacional's possession do not reveal on what basis the Croatian agents concluded that these persons were truly KOS associates. Though well informed military sources claim that this is a very high quality document, it is difficult to assess its accuracy, to what extent it may have been used to frighten people, manipulate or blackmail certain persons on the list who had nothing to do with KOS. The list is primarily made up of people unknown to the public, as well as several very well known Croatian officers, such as Imre Agotic, Rahim Ademi or Branko Borkovic, one of the rare surviving Vukovar heroes. The Croatian intelligence agencies conducted multiple checks on those suspected to cooperate with foreign intelligence agencies. These checks were oftentimes selective and it is difficult to assess whether the people listed within truly did cooperate with foreign agencies or were listed as suspicious due to circumstances in their lives. However, over the past decade, this information has often been manipulated for political reasons. The list of alleged associates of the former Yugoslav secret service again received great media attention in early February. The list was introduced by Tomislav Marcinko, former head of the News Department on Croatian Television. He threatened to release the list of some 10 HTV journalists who participated with the Yugoslav agencies before 1990, which aroused condemnation and fury among many. Marcinko was wholly supported by the marginalized right-wingers, such as Ivic Pasalic. He and other political marginalists have called for the publication of all the alleged associates of the Yugoslav agencies, for reasons of their own political promotion. Several days ago, the magazine Hrvatski List published a list of almost 200 UDBA associates, mostly people in the public eye. Later it was proven that this list was selective and that there were many versions of the same, each manipulated several times and that it was not accurate. This list was also manipulated by Hrvatski List, as several persons privately close to the magazine were left out. At the end of last week, there was talk that there were many more, in depth lists of Yugoslav intelligence associates. Nacional also received information from Operation Janjicar and decided to publish the entire list in order to spark public debate over such documents, their authenticity and quality. 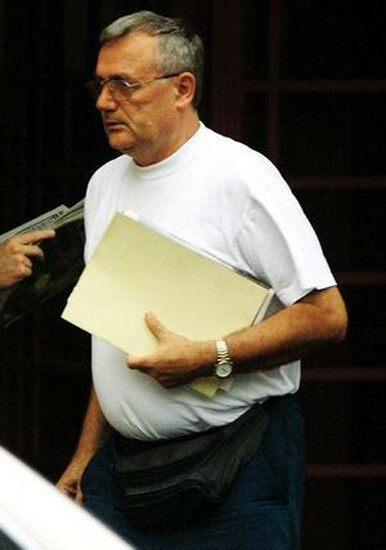 By publishing this list, Nacional aims to demystify and try to bring the situation into realistic terms so that the intelligence agencies can focus more on truly active foreign spy work, such as those which almost destroyed Croatia's chances of negotiation for EU membership while General Ante Gotovina was at large. By the early 1990s in the former Yugoslav, very little was known of the work and method of operation of the Yugoslav Counter-intelligence Agency (KOS). Due to the secrecy of its work, the role and importance of KOS were mystified, however, it is an undeniable fact that in the 1980s and during the Patriotic War, KOS did all it could to try to save Yugoslavia. This was seen in its secret operations in Slovenia and Croatia. The Jansa Affair, which concerned the wiretapping of Police Minister Josip Boljkovac and the secret wiretapping of General Martin Spegelj on arming Croatian forces, the participation of the Opera team in the psychological-propaganda activities against Croatia – these are only a few of the known KOS operations in the early 1990s. KOS arose from the Sector for Protection of the Nation (OZNA), established back in 1944 by a decision by Josip Broz Tito. The predecessor of KOS was the 3rd Division of OZNA which worked to protect the armed forces of the new Yugoslavia and carried out counter-intelligence work for YNA. KOS was officially established in 1946, after the passing of the Yugoslav Constitution and the termination of the 3rd Division of OZNA. The first head of the agency was Colonel Jeftimija Sasic, deputy of the head of OZNA Aleksandar Rankovic. From its inception to the fall of Yugoslavia, KOS had the task of protecting YNA from intelligence, psychological, propaganda and terrorist activities by domestic and foreign enemies. KOS was in fact the political police within YNA, for its fundamental political role was simply to protect Party goals in all military structures and to reveal all those in YNA who stepped away from those goals. In the first years of its operation, it participated in revealing, capturing and executing the remnants of Chetnik and Ustasha groups after World War II and its greatest successes at that time were the arrests of Draze Mijailovic, Kereovic and the remaining Chetnik commanders and breaking up the Ustasha groups under Ljubo Milos, Kavran and Vrban. KOS clashed with all those who accepted the Resolution Informbiro, deserters who avoided military service and compiled information for the files of all military persons, officers and non-commissioned officers, as well as citizens who had any contact with foreigners. On Tito's orders, KOS had its own division as of March 1946, with a head, assistants and clerks for the Military Navy, Military Air Force and National Defence Corps. Two years later, divisions were formed for the military industry and shipbuilding and for military engineering. In the early 1950s, security tasks were taken over by Aleksandar Rankovic, then Police Minister, Ivan Gosnjak as Defence Minister and Antun Vratus from the Foreign Ministry. The consequences of this silent decentralization was the weakened cooperation between the security agencies. Regardless of the fact that KOS in the 1950s began its own training centres in Kastel near Split, the YNA intelligence service was still in its essence an ideological and bureaucratic institution of the Soviet type. The greatest problem was in fact the personnel within KOS. More than 70% of the employees lacked the sufficient military training for these tasks. Their greatest knowledge was war experience, and so YNA held accelerated counter-intelligence and intelligence courses, and a part of the personnel was taken over by UDBA. In the early 1950s, KOS had about 5000 agents. Most were Serbs, about 50%, a fifth were Croats and a tenth Slovenes. From the establishment of KOS, they were directly managed by the Assistant Defence Minister, who was also a member of the Yugoslav Communist Party and the top ranked party member in the Armed Forces. The KOS leaders were directly responsible to the Defence Ministers. Until 1953 that was Josip Broz Tito, then to 1967 Ivan Gosnjak. For thirty years, Generals Ivan Gosnjak, Jeftimija Sasic and Milan Zezelj were Tito's most loyal soldiers and in that period saved his life 23 times. Not a single employee or military person could approach Tito without KOS approval. In the mid 1950s, massive student demonstrations arose over the increase of food and accommodation costs in student dorms. The students headed towards the centre of Belgrade and the KOS Guard Units were sent to prevent them from getting through. At that time, peasant strikes and demonstrations were on the rise and endangering military structures, showing that the military did not have a formation to preserve its own or public order. New YNA enemies were various religious persons, returnees from abroad, deserters and foreign agents. In 5 years, KOS revealed 170 foreign agents, among them some 30 returnees from abroad. Under such circumstances, Tito decided to expand the KOS activities, and renamed it the Office for Security of the Federal Secretariat for National Defence. That same year, the Military Police was formed under the same Office. This meant that KOS had greatest powers in cooperation with MUP. At that time, KOS had about 2000 employees and became an offensive agency included in breaking the Croatian Spring movement, especially in the Sisak area. About 77% of its composition were operatives and only 23% administrative staff and administration. Half of the agents were educated and expert officers. The personnel was experiences but old, with 38% ready for retirement. In the 1970s, the main KOS enemies were liberals, anarcholiberals, extreme left-wingers, members of the student movement, church-goers, intellectuals and foreign spies. In the 1980s, with the death of Tito, serious changes occurred and the conflict started in Kosovo. This placed a new problem before KOS, the use of force against its own citizens. In terms of Croatia, Colonel Vasiljevic, with the help of his associates, succeeded in recording a meeting in which Josip Boljkovac and persons from Croatia worked out a tactic to operate against YNA. This transcript was published in the Vecernji novosti newspaper. Furthermore, in Operation Shield KOS revealed who had armed the Croatian forces. This operation was directly led by Vasiljevic, and the main associate was YNA Captain Vladimir Jadar who succeeded in planting a camera in a closet door and taping both video and audio of the meeting of Martin Spegelj with Boljkovac, Duro Decak and Antun Habijanac. Vasiljevic was ready to arrest all the members of that meeting. Instead of an arrest, General Veljko Kadijevic invited Vasiljevic back to Belgrade where all the members of the collective presidency knew of the secret arming of Croatian forces. In relation to Operation Shield, a SFRY decision was made to „break up the HDZ paramilitary formations and return the arms to YNA“, which did not happen. On 25 January 1992, KOS in desperation showed the film on Martin Spegelja and the National Army publication wrote about the arming of the Croats. Spegelj left Croatia for a year and was not arrested. The former KOS agency is still very active today, as seen by the newest speculations on the possible arrest of former RS Army commander Ratko Mladic, indicted by the Hague Tribunal. In recent days, very contradictory information has come out of Belgrade that Mladic has been located and surrounded, according to the Belgrade press, and is soon to be arrested. Now it is only a question of whether he will be arrested, turn himself in or kill himself. Certain sources claim that this is a done deal and it's only a matter of time, while others are very sceptical of these claims and warn that the situation is not simple and the fuss over Mladic is only part of a larger and more important confrontation which the Serbian and world public know very little about. One of the men who best know the situation in the Serbian military, former YNA officer Ljubodrag Stojadinovic, who is now a columnist for the magazine Politika, warned of this in two television interviews. He warned that the key role in the story is played by the Military Intelligence Agency, the new name of KOS, but which operates in the same way as it did when it was founded after World War II. Stojadinovic himself has said that the agency's structure is a Stalinist one and that it is responsible to no one but itself. There is no civil or military control and the leaders are selected from the internal ranks. The Defence Minister has no real control over the agency, as he only received the information they want to give. The power of this agency was seen in the break-up of Yugoslavia, from the second half of the 1980s, when it independently worked in all the then Yugoslav republics which wanted to break away and later, when the war broke out, it participated in the organization of Serbian paramilitary formations. In the 1990s, it primarily operated on orders by Slobodan Milosevic for it shared his political views. However, when Milosevic was removed, it again began to function independently, as new president Vojislav Kostunica lacked any mechanism by which to control it. In the years following the fall of Milosevic, when President Kostunica and Premier Djindjic had clashed, KOS discretely stood on the side of Kostunica and helped him in certain situations, for example, when Kostunica accused Djindjic of wire-tapping him. After Djindjic's assassination, his successors accused the agency of being part of a large conspiracy behind the assassination and former KOS General Aca Tomic was even imprisoned, then released. This agency has protected Mladic the whole time. He has not been protected by individuals as the press would have it, but by KOS, today called VBA. He has stayed in military buildings, driven in military vehicles, received medical attention three times under phony names in the Military Medical Academy in Belgrade and right up until 2002 was an active member of the Yugoslav military, until he was sent into retirement by Vojislav Kostunica. He lived a normal life in his apartment in Belgrade until 2000, maybe longer, and until the recent fuss, regularly recieved his pension checks. Mladic has been guarded by military-intelligence structures which decided to do so independently, not just out of solidarity with him. The reason for such a decision has much deeped political roots, stemming from the past, and related to the future of Serbia. Mladic has been protected because this also protects the politics in which he was the most pronounced advocate, and KOS participated in the execution of these politics. The extradition of Mladic to the Hague could be the first step in the disassembly of the entire structure of wartime Serbia, and KOS with it. Protecting Mladic was only the first defence in hiding all that these politics were responsible for. With that, hiding Mladic had a massive influence on the current position of Serbia. The EU has clearly threatened that it will break off all talks on the Stabilization and Association Agreement with Serbia, meaning Serbia will be left in complete isolation. And only in such a structure can KOS survive and retain its influence and so the political climate has been created ini which the patriotic forces will be in power and Serbia will not be democratized. The power of KOS, though under a different name, is seen in many things, such as the situation which occurred at the recent session of the Supreme Defence Council. At this session, head of the Military Intelligence Agency Svetko Kovac submitted his report on the hunt for Mladic, but this only contain information from several years ago, mentioned only a few people who had allegedly assisted Mladic and old information on his movements. Of course, it cannot be known if he said all that he knows, it is not possible to check the accuracy of the information as there is no way to check. One other bizarre event occurred at this meeting which clearly tells of the attitude of this agency towards those who run Serbia & Montenegro. KOS head Kovac described the report verbally and refused to submit a written report, justifying this by saying that it would be dangerous it such a document reached the public. In other words, head of this agency has no faith in Presidents Kostunica, Tadic and Vujanovic and they accepted the humiliation of his refusal to submit a written report. Is it possible to imagine the head of the CIA refusing to submit a written report to President Bush, or the head of the FSB reporting to Vladimir Putin? THE COMPLETE LIST OF 1789 ALLEGED KOS ASSOCIATES IN CROATIA. Dear readers, due to the sheer volume of material, we have not translated the notes accompanying the names.